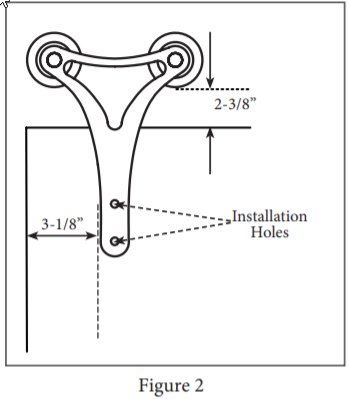 Adjust the placement of the hanger for a 2-3/8” gap between the top of the door and the bottom edge of the wheel. 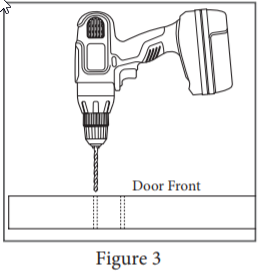 Ensure the base of the hanger resting on the door is 3-1/8” from the edge of the door (Figure 2). 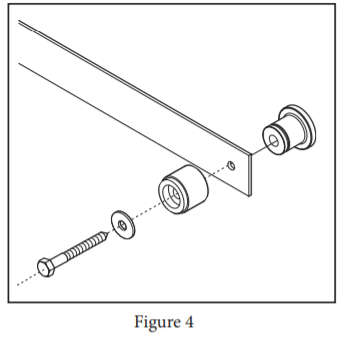 Step 7: Attach one end of the track to the wall with one soft stop, one lag screw, and one washer (provided) using a socket wrench with 9/16” socket (Figure 4). 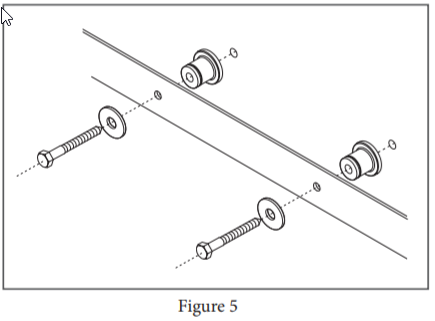 Do not tighten. 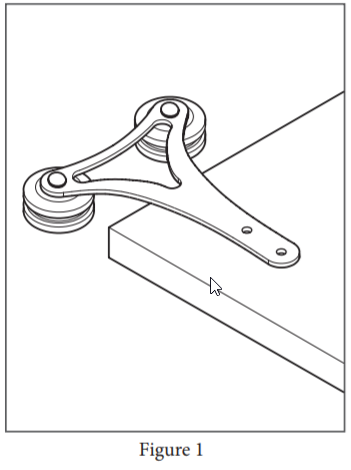 Step 10: Hang the door (Figure 6). 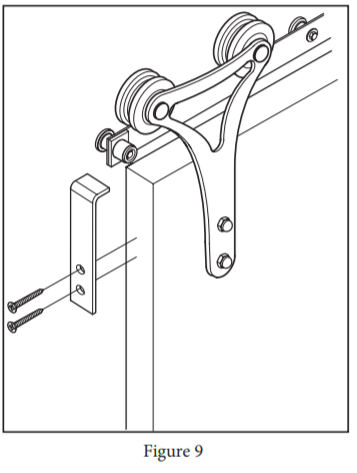 Step 11: With the door in the closed position, ensure the door is hanging straight using a bubble level. 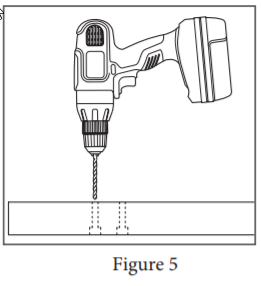 Step 12: Position the Door Guide part way into the groove in the bottom of the door (Figure 7). 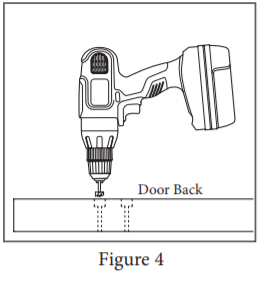 Step 13: Install the Door Guide using a 1” phillips screw (provided) and a drill with a phillips bit. 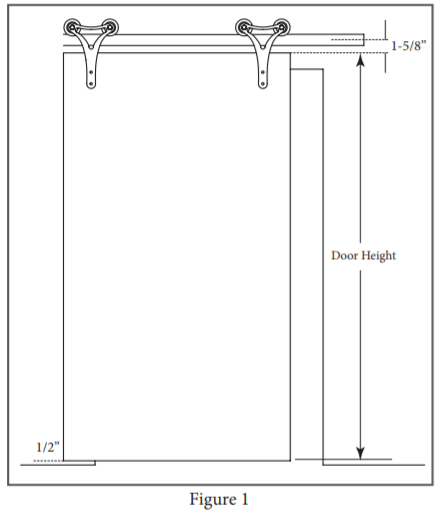 Step 14: Slide the door toward the open position until the other side of the Door Guide is exposed. 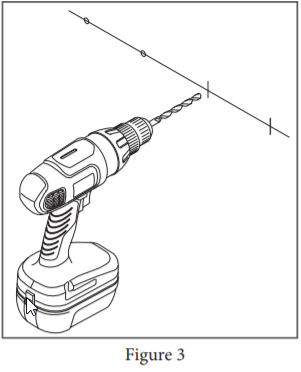 Step 15: Install the second 1” phillips screw (provided) using a drill with a phillips bit (Figure 8). 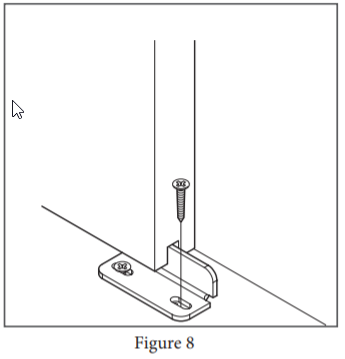 Step 16: Place the Anti-Jump bracket on the door side, moving the bracket up until it is between 1/8” and 1/16” from the bottom edge of the rail. Mark the placement with a pencil. 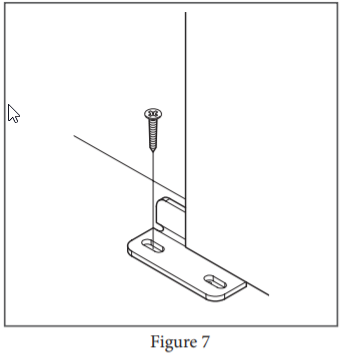 Step 17: Install the bracket to the door edge with 2 phillips screws (provided) using a drill with a phillips bit (Figure 9). 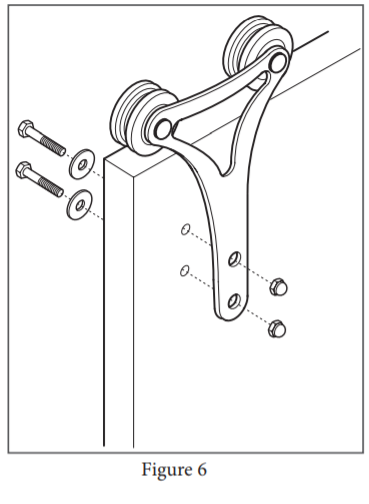 Step 18: Repeat steps 16 and 17 for the opposite end of the door.